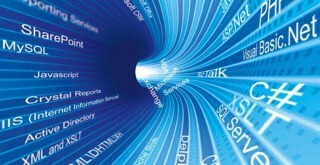 RICEF or WRICEF signify the development objects built and designed on SAP suite to fulfill the business requirements. RICEF is an acronym applicable in all the SAP modules for Reports, Interfaces, Conversion, Enhancements and Forms. It is referred as RICEF and WRICEF, w stands for SAP Workflow. 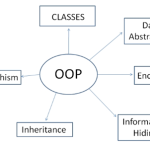 These items are separately done by separate team of huge project work development of Scripts, Programs and more. Reports: Development of standard reports in SAP ABAP, BW or Report Painter/Writer. Interfaces: ABAP needs to be integrated with some other non SAP systems or any external systems like Payroll, Banking, Dispute Management and many interfaces. All these needs to be integrated with their respective systems to automate the postings and payments in SAP. Conversion: Conversion of inherited data into a format suitable to load in SAP. Extracting the data from the system, Transforming the data into the suitable format (LSMW, BAPI, BDC) and Loading the data into the system. Enhancements: ABAP provides enhancement implementations known as user exits, to pull the calculations carried background. If a company needs extra configuration to meet and target country specific, the template needs to be enhanced with extra configurations. Workflow: Development of Workflows in ABAP. In order to change the master data, specific approval process shall be followed. 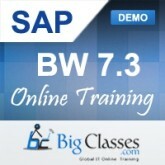 BigClasses is one of the best online training organizations offer SAP ABAP training. We have qualified and experienced faculties who are responsible for taking the online sessions. We provide study materials and 24 hours support to our national and international learners as well. If you are interested in SAP ABAP online training, contact us for the detailed course and the free demo classes.